Create your ultimate showering experience with a Crosswater showerhead, there’s an array of sophisticated styles, sizes and ideas to inspire you. All designs are intuitively designed to ensure you have a supreme showering experience every time. 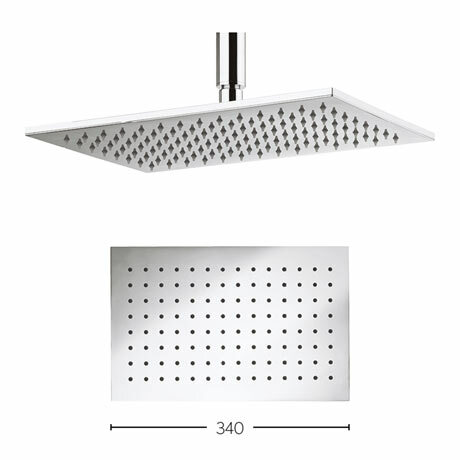 The Zion 340mm Rectangular Fixed Showerhead can be used with a ceiling or wall mounted arm and features a swivel ball joint to adjust the angle of the spray. Manufactured from solid brass this stylish head is guaranteed for 10 years. Please note: Shower arm sold separately.